Researchers from Mexico’s National Institute of Cardiology pored over 28 studies published through January 2017—16 randomized trials and 12 post-marketing case series—pertaining to the three human papillomavirus (HPV) vaccines currently on the market globally. In their July 2017 peer-reviewed report, the authors, Manuel Martínez-Lavin and Luis Amezcua-Guerra, uncovered evidence of numerous adverse events, including life-threatening injuries, permanent disabilities, hospitalizations and deaths, reported after vaccination with GlaxoSmithKline’s bivalent Cervarix vaccine and Merck’s quadrivalent or nine-valent HPV vaccines (Gardasil and Gardasil 9). Pharmaceutical company scientists routinely dismissed, minimized or concealed those injuries using statistical gimmicks and invalid comparisonsdesigned to diminish their relative significance. 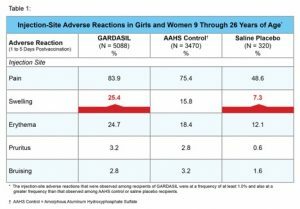 Of the 16 HPV vaccine randomized trials, only two used an inert saline placebo. 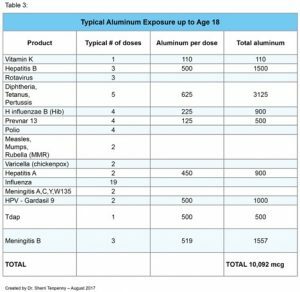 Ten of the sixteen compared the HPV vaccine against a neurotoxicaluminum adjuvant, and four trials used an already-approved aluminum-containing vaccine as the comparison. 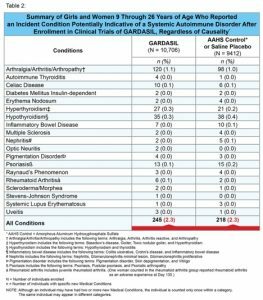 Martínez-Lavin and Amezcua-Guerra point to clinical trial data posted on the FDA webpagefor the quadrivalent Gardasil vaccine approved in 2006. Those clinical trials deployed a panoply of the kind of cunning deceptions used by industry and government researchers. Unlike many of the other HPV vaccine clinical trials, these clinical studies employed a true saline placebo.